The library is proud to offer a collection of circulating technological devices. All you need is a Benbrook library card to check out and take home a Wi-Fi hotspot, laptop computer, or Roku Streaming Stick. Wi-Fi hotspots enable the internet to come home with you! Connect up to 10 devices to one hotspot. The password will be labeled on the device, so it is just a matter of finding the hotspot with your tablet or phone, typing in the password, and then enjoy your favorite internet activities. We will have twenty in our collection, and each device has unlimited data, so no more worries about data usage! 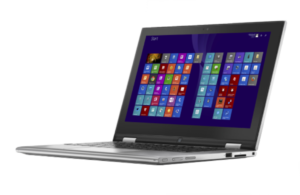 Our 2 in 1 laptop computers feature a hinge that enables them to be converted into a tablet. The tablet mode features a touch screen that allows you to easily navigate by swiping and tapping. The computers are loaded with Open Office to allow for work with word processing, spreadsheets, and slideshow presentations and feature a camera for video conferencing or chatting. To access the internet, an internet connection is required. 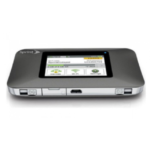 Check out a laptop and a Wi-Fi hotspot together to give yourself internet access anywhere! 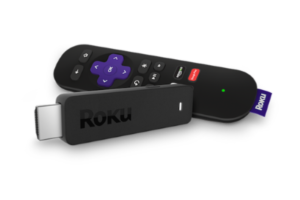 Roku Streaming Sticks provide access to streaming movies, TV shows, music and more through various channels and services. Channels available on BPL streaming sticks are: Vudu, Netflix, Crackle, YouTube, Allrecipes.com, CBS News, CW Seed, Fox News, NBC News, NetFit, Pandora, PBS, PBS Kids, Popcorn Flix, the Smithsonian Channel, Snag Films, Twitch, Vevo, and WeatherNation. All you need to enjoy a streaming stick is a TV or monitor with an HDMI port, as well as a Wi-Fi connection (Don’t have one? Check out a hotspot!). The devices are highly portable and can easily be taken with you to enjoy at a friend’s house, hotel, or anywhere else. To view titles available through Vudu, click here. The Oculus Go is an all-in-one virtual reality headset. Preloaded with over a dozen apps, all you have to do is put one on to travel to exotic destinations around the globe, take a thrilling roller coaster ride, go fishing, blast zombies, and more, all in stunning virtual reality. Our VR headsets are available for in-library use for patrons 18 years of age and older. For full rules and conditions for borrowing VR headsets, click here. Our Nooks are pre-loaded with content, including select best sellers and current popular titles. We have four fiction readers and two non-fiction readers. All fiction readers contain the same titles, and all non-fiction readers contain the same titles. Content was last updated on 9/14/18. Click the links below to see complete lists of available titles. Unlike the Nooks, our Kindles do NOT have content already loaded on them when you check them out. They are intended for you to load with library e-books of your choice using Overdrive. We have two Kindle e-readers available. All devices circulate for a period of three weeks. One renewal is allowed, pending holds by other patrons, excepting hotspots. Borrowers of devices must be Benbrook Public Library cardholders 18 years of age or older. To view the full circulating technological devices policy/agreement, click here.